Before you race off to Kinlough on a whim, take some time to learn a few facts about it. If you travel 14 miles (23 kilometers) northeast of Sligo, or 25 miles (40 kilometers) west of Enniskillen, you'll find yourself in Kinlough. With so many things to do in this area of Leitrim, it's not hard to see why 1,000 people choose to call it home. Securing a hotel and airfare bundle deal via Travelocity is the perfect way to save loads on your vacation to Kinlough. And also, you can choose from no less than 400 airlines and 665,000 accommodations. After a worry-free experience? Our Customer 1st Guarantee offers the security of 24/7 personal assistance on all our services. Have you come across a better deal somewhere else? We'll match the price and give you back the difference^. We're aware that sometimes things change. If you wish to change or cancel your travel reservations, you will not have to pay us a hidden fee. And so long as you get in quick, many accommodations won't charge you a fee either^. On your way to Kinlough? 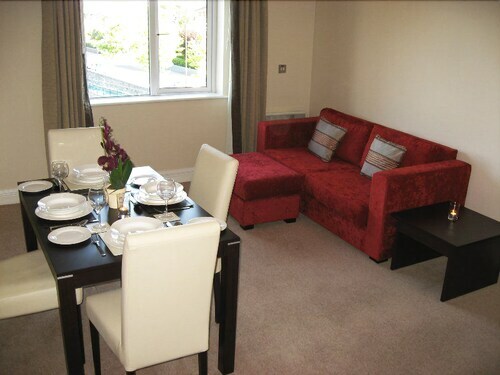 Don't leave it until the last minute to book one of its 5 available properties. After you've made your choice, all that’s left is the fun part — actually being there! On the hunt for somewhere to rest your head in Kinlough? The Portbeg Holiday Homes at Donegal Bay and Fitzgerald's Hotel are our top properties in this area. Where do you fly into for Kinlough? The thrill and excitement of traveling around a totally new destination will never get old. Once you've safely touched down at Sligo Airport (SXL), the middle of Kinlough will be only 17 miles (27 kilometers) to the northeast away. Can I rent a car in Kinlough? Whether you're heading to Kinlough alone or with a bunch of friends, it's always better to have a set of wheels. Travelocity has plenty of rental car options, so choose one now and start creating your road trip playlist right away! Regrettably, there aren't any car rental firms near Sligo Airport, so you'll need to put other plans in place if you're arriving by air. There is something bewitching about the waxing and waning swell at the seaside. Unroll a picnic blanket, sit back, relax and admire the fluctuating moods of the ocean at Bundoran Beach. Want some more options? If you'd like to bump some strokes off your score, then head over to Bundoran Golf Club. Grab your clubs, develop your swing and chat to the locals at the 19th hole. But that's not all. Saddle up for a glorious encounter with the friendly creatures of Donegal Equestrian Centre. Get to know the horses one by one and take a pic with your favorite! Only 55 miles (89 kilometers) from Kinlough is Londonderry. This area allows access to the unmissable sight, the Tower Museum. Spend a whole day here! The Derry City Walls is another sight that's worth a visit. Situated in Kinlough, this hotel is 0.6 mi (1 km) from Kinlough Folk Museum and 3 mi (4.9 km) from Surfworld Bundoran. Waterworld Bundoran and Bundoran Beach are also within 6 mi (10 km). 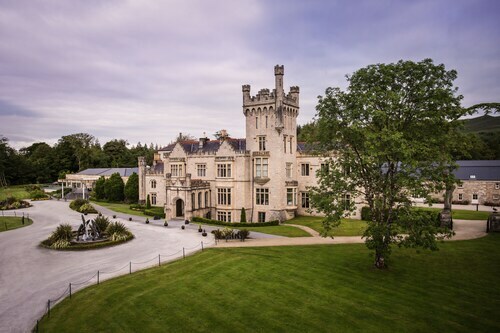 This family-friendly Donegal hotel is located on a lake, within 1 mi (2 km) of Bluestack Mountains and Lough Eske. Ardnamona Gardens is 2.7 mi (4.3 km) away. Situated in Donegal, this hotel is steps from Donegal Castle, O'Donnel's Castle, and Donegal Bay Waterbus. Bluestack Mountains is 2.9 mi (4.6 km) away. 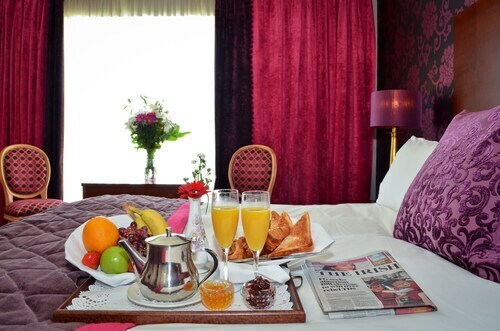 Situated in Sligo, this hotel is within a 10-minute walk of Quayside Shopping Centre, Sligo Cathedral, and Hawks Well Theatre. Yeats Memorial Building and OConnell Street are also within 10 minutes. Sligo Mac Diarmada Station is only a 3-minute walk. 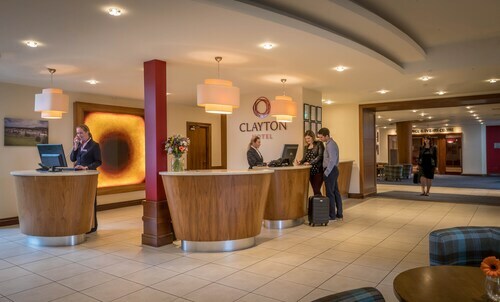 This family-friendly Sligo hotel is within 1 mi (2 km) of Model Arts and Niland Gallery, OConnell Street, and Quayside Shopping Centre. Sligo County Museum and Yeats Memorial Building are also within 1 mi (2 km). Sligo Mac Diarmada Station is 27 minutes by foot. 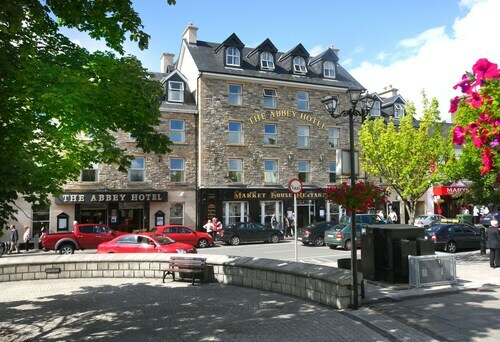 Situated on a river, this hotel is steps from Yeats Memorial Building, OConnell Street, and Sligo County Museum. Quayside Shopping Centre and Famine Memorial are also within 5 minutes. Sligo Mac Diarmada Station is 6 minutes by foot. 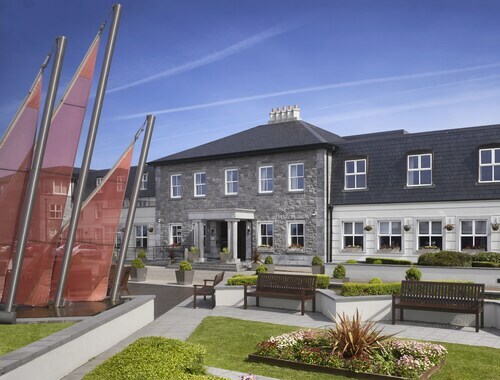 Situated by the ocean, this spa hotel is within 3 mi (5 km) of Famine Memorial, Sligo County Museum, and Yeats Memorial Building. OConnell Street and Quayside Shopping Centre are also within 3 mi (5 km). Situated in Donegal, this guesthouse is within a 5-minute walk of Donegal Castle and O'Donnel's Castle. Donegal Bay Waterbus and Bluestack Mountains are also within 3 mi (5 km).